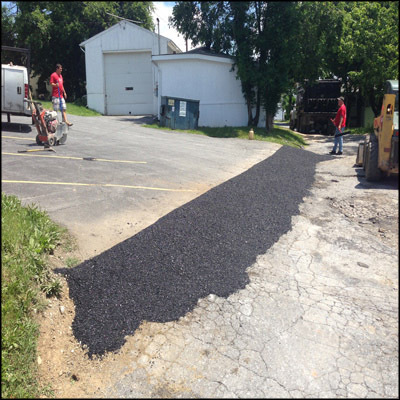 This apartment complex needed new parking lots and we are taken care of their asphalt paving needs as part of Commercial Paving. We had to rip out all of the old, broken blacktop and install new asphalt. We also had to saw cut for straight edge to alley. Although pavement maintenance agendas from property to property, the general purpose of asphalt maintenance is to sustain its charm and extend its life. Some paving maintenance tasks are often managed on your own or by appointed employees, like inspections and trash clearance; whereas others are best left within the hands of trained and equipped professionals. a perfect pavement maintenance should embrace basic tasks like regular assessments, sweeping, crack filling, pothole repair, periodic line marking, and most significantly, seal coating. while not a correct sealcoat, asphalt pavements can expertise heightened wear and tear from traffic, weather, chemicals, salts, and more, that shortens their life and diminishes their aesthetic worth. There are several reasons why many commercial property owners are paving their driveways with asphalt rather than concrete. Asphalt pavement comes with many benefits and advantages; especially when it comes to maintenance and repair. Asphalt is much more economical than concrete for this reason and more. On top of its flexibility and easy maintenance aspects, it typically costs less than concrete materials at most hardware and construction stores. Although concrete paving can last up to 15 or 20 years without needing repairs, asphalt is still a trendier choice for most residential and commercial properties for a number of reasons. Continue reading to catch up on some important information about asphalt paving and why it is more popular than concrete these days.